Material: High grade quartz crystals. 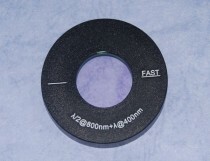 All optical surfaces AR coated. Optically robust with a high damage threshold. Please use "Add to Cart" to place the interesting products in the shopping cart. Check out with online payment or ask us for the prices/availability via the shopping cart. Filters below or the form at the bottom can be used to assist product search or make further inquiries. 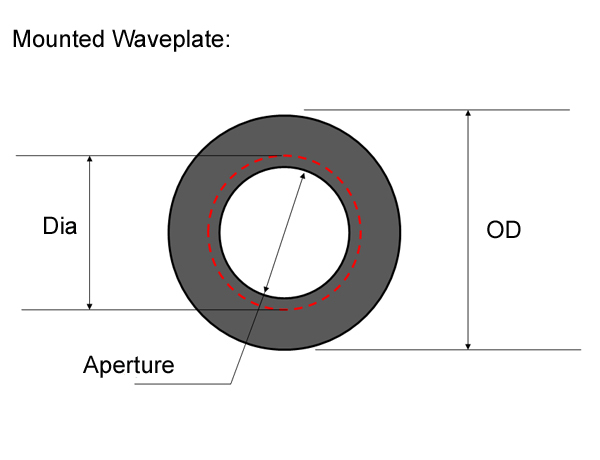 The ultrathin dual waveplate is an accurate 0th-order half waveplate @ 800nm and an approximate full waveplate @ 400nm. 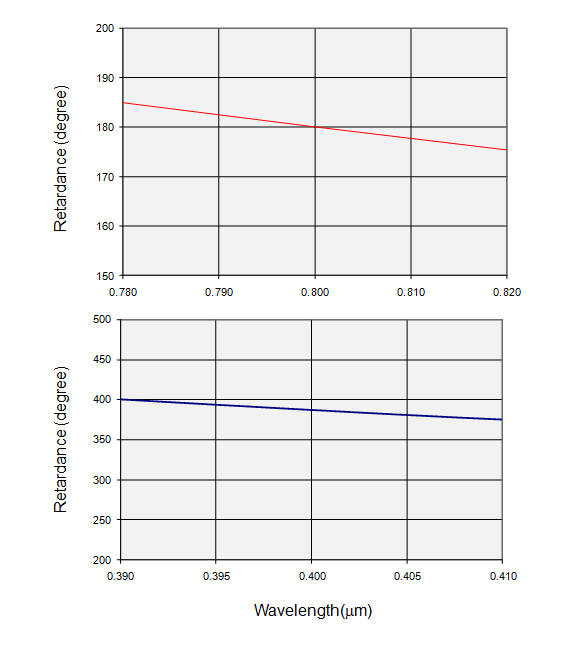 With the fast axis set @ 45 deg, a linearly polarizated light @ 800nm is rotated by 90 deg and remains linear polarized while a linearly polarized light @ 400nm becomes slightly elliptical with the amplitude along the original polarization reduced by ~ 5%.